News from ACEE: Webinar, Lethbridge Workshop and more. 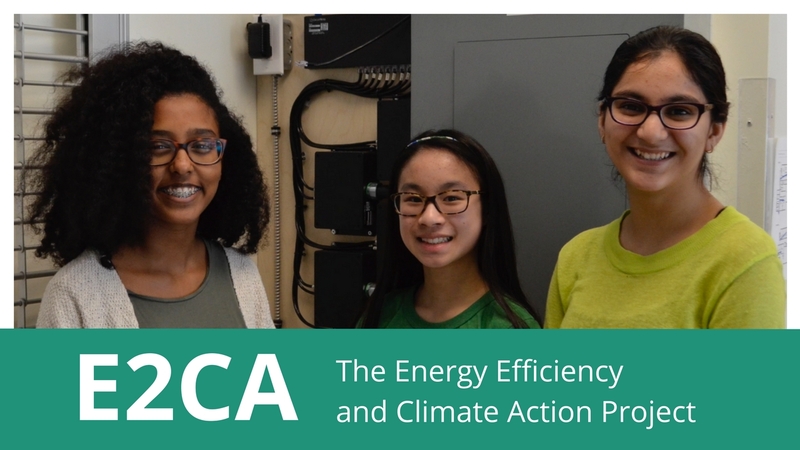 ACEE is hosting this webinar to explore best practices for climate education and outreach, and help you consider how to incorporate these practices into your programs. We hosted workshops in the winter and we are offering this webinar for those that weren't able to attend a workshop or as a refresher. LEARN MORE. You're invited to a full-day workshop to build your capacity to advance energy, environment, and climate education in the Lethbridge area. Attendance is free, but registration is required so that we can order you lunch! We are also pleased to cover transportation costs for those who carpool and we have limited funding available to cover substitute fees for teachers who care to attend. Register by Wednesday, May 23, 2018. Networking walk. Learn about environmental education programs in the Lethbridge area and connect with your colleagues to share your programs. Come dressed to be outside! Join us for lunch and hear from the Hon. Shannon Phillips, Minister of Environment and Parks. 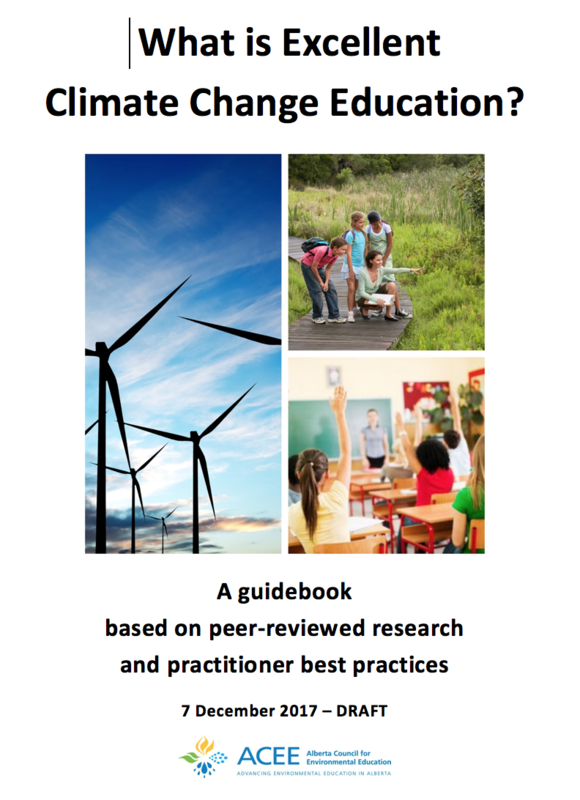 Climate Change Education and Literacy. 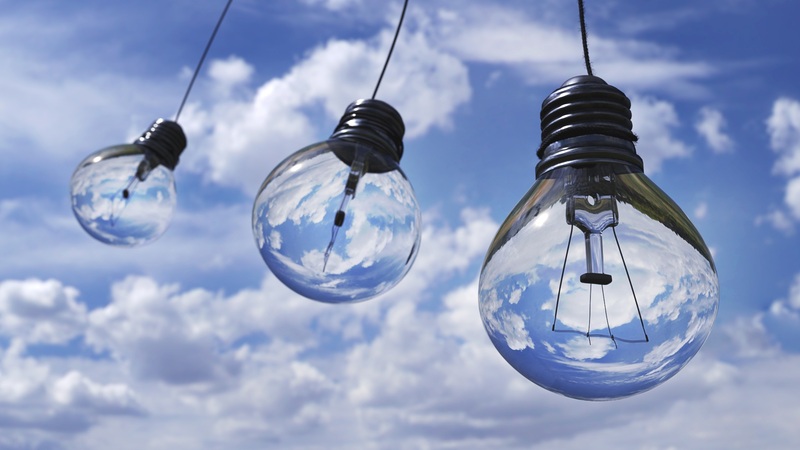 ‘What is Excellent Climate Change Education?’ ACEE will share best practices and current research on how you can effectively incorporate this challenging topic into your programs and teaching. Energy Education NEW OPPORTUNITIES (see above item)! ACEE will share details of this exciting work. Calgary area environmental educators are invited to a free networking and information sharing lunch on Thursday, May 31st from 11:00am - 1:30pm. This event will be held in the Wild Rose Boardroom at the City of Calgary, located at 480 - 36th Ave SE. Please REGISTER NOW so that we can order lunch for you ahead of time. Networking opportunities and the chance to share your projects. Launch of ACEE's Energy Education work surrounding efficiency and renewables. Attend an event - There are events being added every day, there is something for everyone. Host an event - Anyone is welcome to host an event. Let us know your plans and you will be entered to win a gift certificate from Mountain Equipment Co-op. Launch event - Saturday May 26 in Calgary at Pearce Estate Park, 11:30am - 3:30pm. The Mayor's Environment Expo inspires students and families to take simple actions to protect our environment. The next Expo will take place June 5, 6 and 7, 2018. Grant Opportunity for Alberta Classrooms- The CN EcoConnexions From the Ground Up program provides funding of up to $25,000 for the greening of Canadian municipalities and Indigenous communities along CN rail corridors. Announcement - The winners of the 2017 – 2018 World of 7 Billion video contest have been announced! You can watch all of the winning videos and learn more about the winning student filmmakers online now. This year, over 5,500 students participated and they received 2,913 video submissions from schools in 50 countries and 42 U.S. states and territories. Conference - Association for Experiential Education Northwest Regional Conference, May 17-20, 2018. Includes workshops, networking, stampede breakfast, networking around the campfire, the annual Canada vs US Broomball tournament, themed banquet and a range of experiences offered on the final day to explore Calgary and area. Register online. Contest - LSF's Jack Layton Award for Youth Action in Sustainability for students who have implemented a school/ community-based sustainability action projects. Apply online by May 18th, 2018. Contest - LSF/RBC Our Canada Project Award for youth who have incorporated sustainability themes into their vision and action-based project as evidenced in their posting (Environment/Economic/Social/Cultural). Apply online by May 18th. Contest - G7 Oceans Youth Innovation Challenge. Canadian youth 18-25 can submit their ideas to solve ocean-related challenges for a chance to present at the upcoming G7 Ministerial Meeting in Ottawa. Internship Subsidy Program - $15,000 available to employers who are hiring skilled grads in Clean Technology and Natural Resources through Career Launcher internships. Video - The Coalition of Museums for Climate Justice has released a video on “Museums and the Climate Challenge”. This video is the first in a three-part series that will raise awareness of this vital issue, and support the global museum community in addressing climate change.